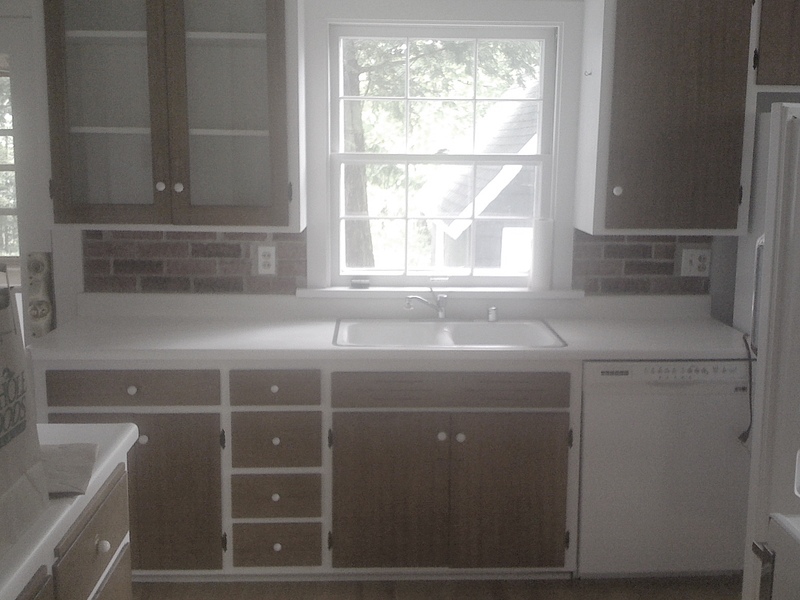 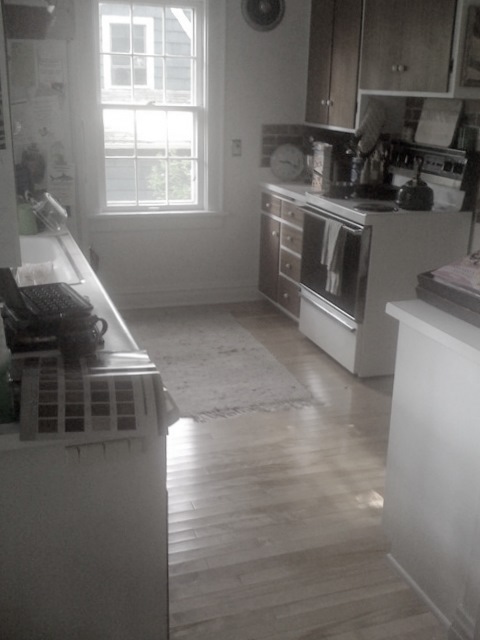 The old cabinets and appliances were outdated and the kitchen separated from the dining room. 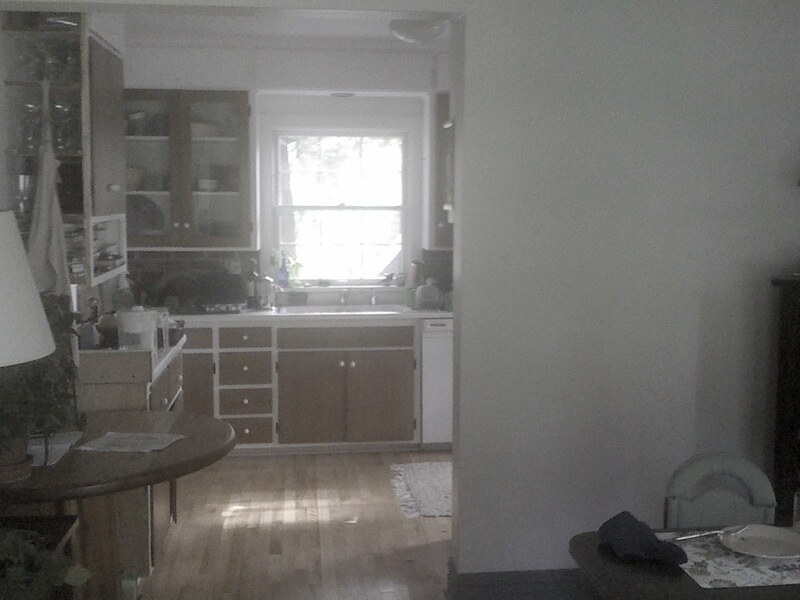 By removing the partition wall, we were able to join the rooms and provide a counter-height bar area. 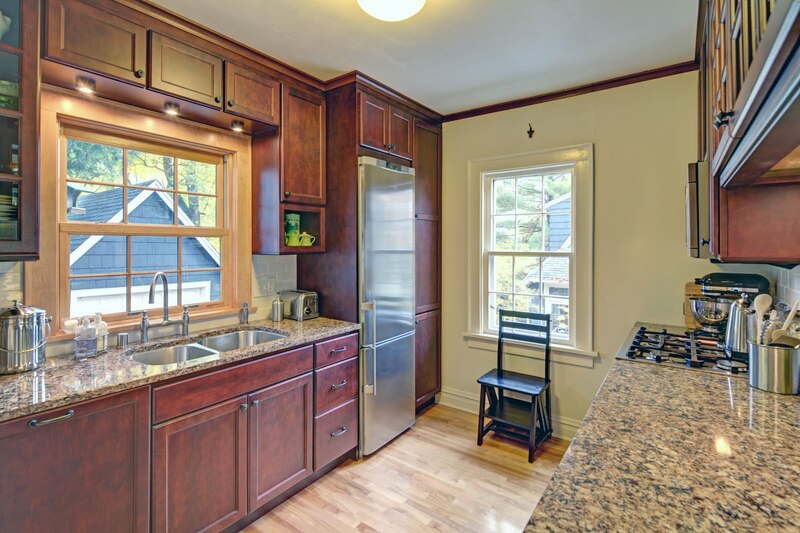 New energy efficient windows by Weathershield and custom-milled moldings match the 1926 home’s original millwork. 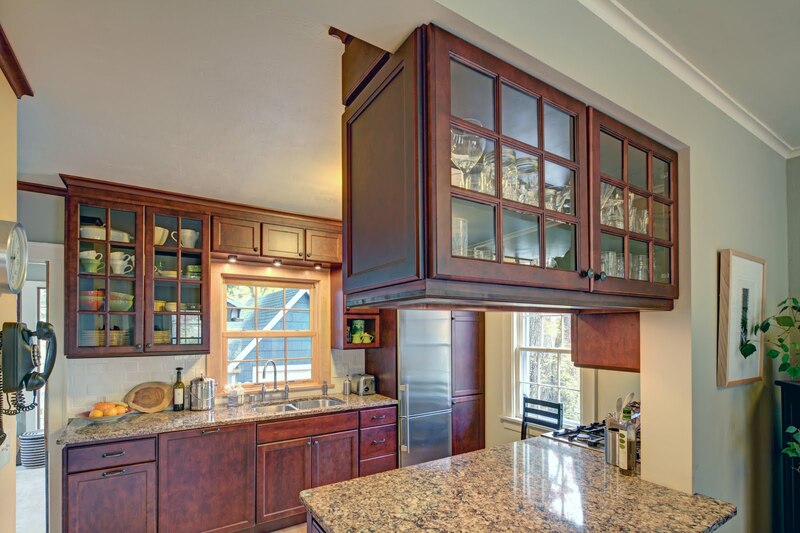 A pass-through glass cabinet (cabinets by Starmark) above the bar provides storage and keeps the rooms open. 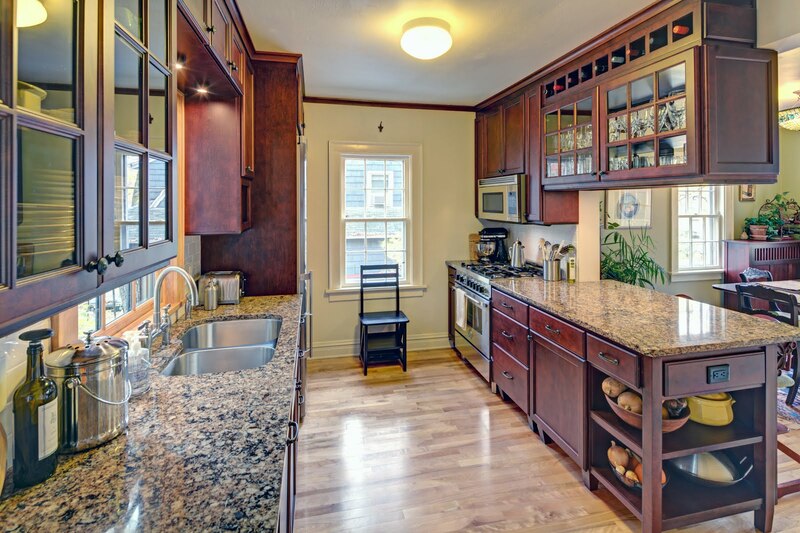 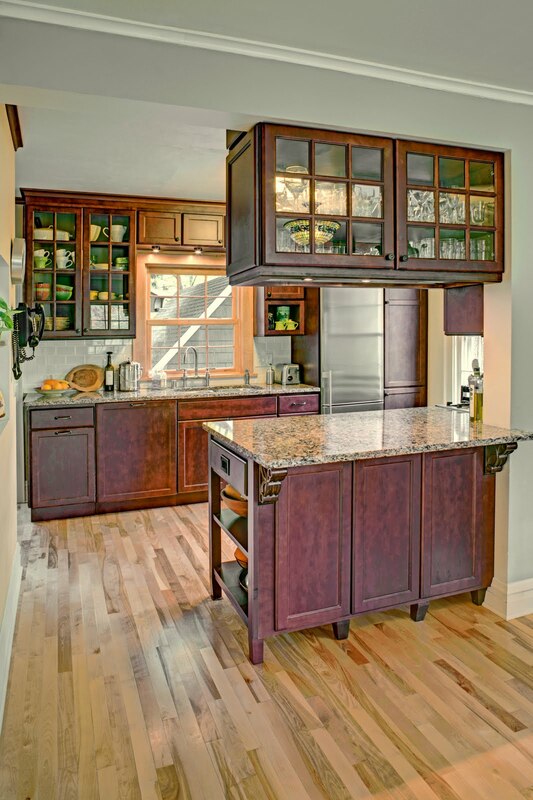 Cambria countertops are impervious to staining, unlike granite, and complete the look.